every night at the dreams. reading the love status on the lips. that long lost its savor. converting the cool breeze into ocean current. Our friend Rajesh of My Indian Travel invited me to participate in ‘Capture the Colour’ contest by TravelSupermaket and here I like to share the colors in images that I captured and picking the photos randomly from the folders. 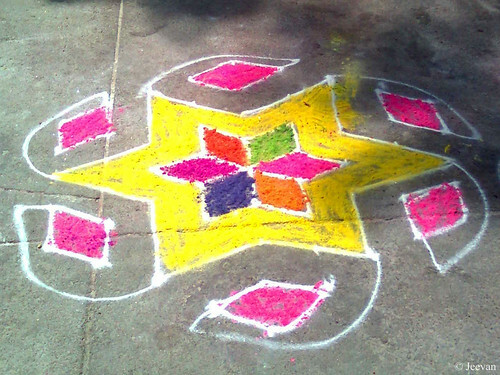 The photos below are highlighted by the colors of blue, green, yellow, white and red. 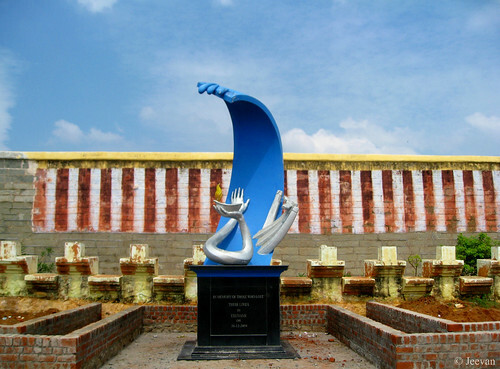 This memorial is erected in the southern tip of India, Kanyakumari, in the memory of the Tsunami victims; Kanyakumari lose hundreds of lives to the tsunami that stroke the Southeast Asia on 26 December 2004. In the abstract sculpture, I could observe a hand allying the rage wave and other one holding a lamp as pleasing the wave. 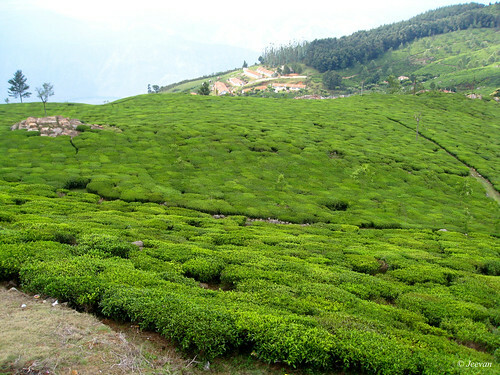 This is a part of Kodanad Estate, in the Nilagiri District of Tamil Nadu and this is a shot captured close to the TN chief minister’s bungalow, where she use to take rest while in office or not and coincidently she was staying there while we visited the estate and view point. But she was not in the power that time and it was the period waiting for the results of the state assembles election last year in April. Other day mom brought banana flower from market and it looked very pretty in color like ever seen before. The middle part was in mild pink and tip in yellow; I find it wonderful to capture. 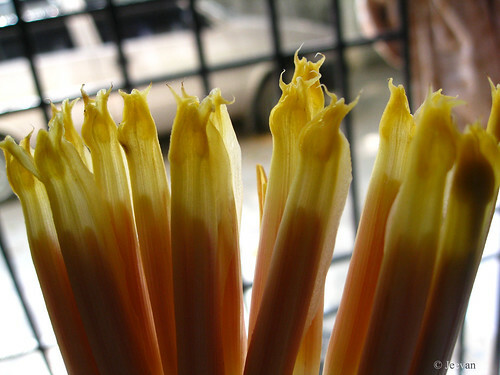 For some time now, the banana flowers have been my favorite thing on food and I wish mom cooks it at least once or twice in a week. This amazing white colonial building was taken into renovation to its original appearance of what it is now from nearly destruction. 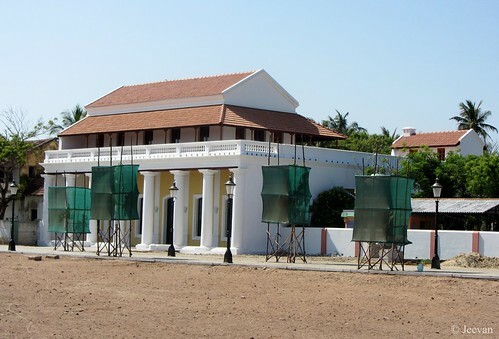 The 250 years old, former Danish Governor’s bungalow in Tranquebar was taken into restoration from brick by brick by the INTACH, holding up the building’s Madras terrace roof with great pride and poise. The building which is belong to the Tamil Nadu Tourism Department with the assistance from the Danish National Museum and INTACT restore the original structure, which melds colonial features with the local Tamil vernacular. Sometime before we checked the Marry brown restaurant on the ECR, near VGP golden beach, for some spicy and crispy chicken; and while waiting on car I find the facade of the building pretty in red to capture. 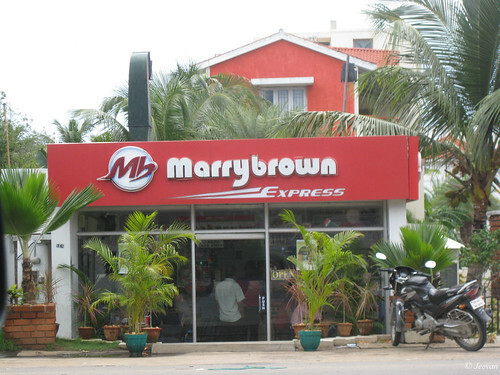 Marry brown is not my favorite outlet for crispy chicken and we checked it for only couple of times before KFC open its outlet in our neighborhood close to ECR. an impression of soft petals. 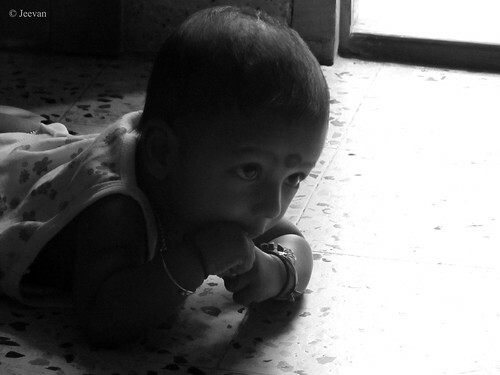 Writing on the thought of my nephew Barath and the photo was captured by me during his visit to home.